W2A Design Group proudly joins Allentown officials and fire administration in the Ribbon-cutting ceremony officially opening the new East Side Fire Station! 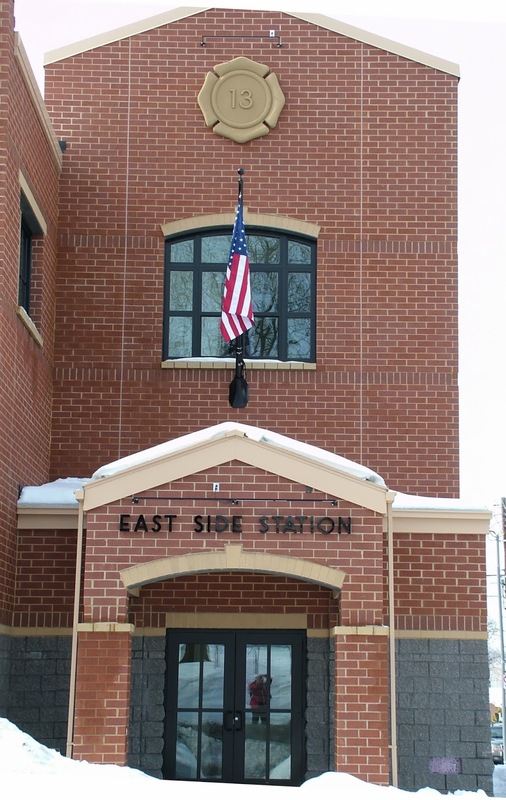 W2A Design Group designed the new East Side Fire Station for the City of Allentown, which involved the demolition of the existing 50+ year old 2-bay station, and replacing it with a new state-of-the-art facility on the same site. The new 8,000 square foot, two-story building is identifiable as a fire station, and is welcoming and accessible to all. The building has an approachable scale, and incorporates contextual, quality materials in a present-day interpretation of traditional building elements and detailing. As a career station, the building provides both public and non-public functions “24-7”, but organizes those functions into an understandable and spatially efficient layout. Three drive-through Engine Bays provide space for fire apparatus, and living quarters and work space on the second floor provide for a maximum of ten firefighters. Living quarters include separate male and female bunk rooms with private shower rooms, Kitchen, Day Room, Office and Exercise Room. See the links below for more articles and photos of the Ribbon-cutting ceremony of Allentown's new East Side Fire Station.